Why don’t we teach every child how to deal with challenges? How to process their feelings? For my latest podcast guest, Renee Jain, all her work started with those questions. To me, that question has a clear answer: because we don’t know how to process our own big feelings. We weren’t taught by our parents or our schools. We weren’t taught by our friends. Why not? Because our parents weren’t taught and so on, down the line of generations. We are in an epidemic of anxiety now – for both kids and adults. That’s one of the reasons I was so happy to meet someone who was bringing this important work straight to kids. Renee talked to me about the science of wellbeing. We talked about the exciting research on our brain’s plasticity – meaning that we can change our set-point or disposition. We can change. And importantly, we can teach our kids that they can change too! We talked about the purpose of emotions, and how important it is to teach that. We talk about the influence of technology. 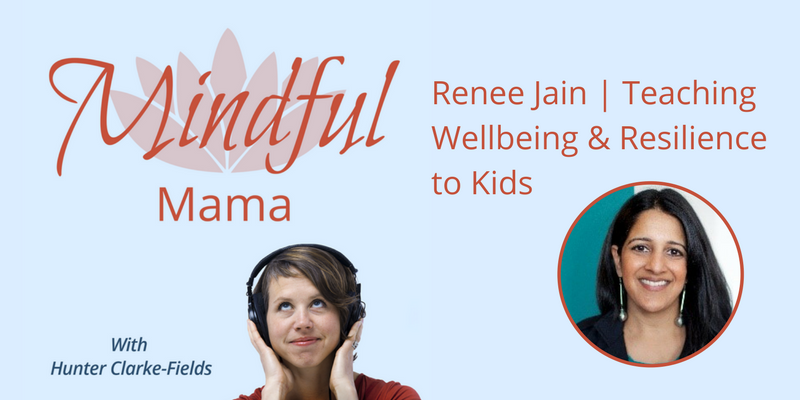 Renee Jain specializes in cultivating skills of resilience in both adults and children. Renee’s gift is taking research-based concepts and transforming them into engaging and digestible learning modules. For children, she has created one-of-a-kind programs found at GoZen! to teach life skills via digital animation.